Join us for this first (annual?) Freakin' Fun Ride! 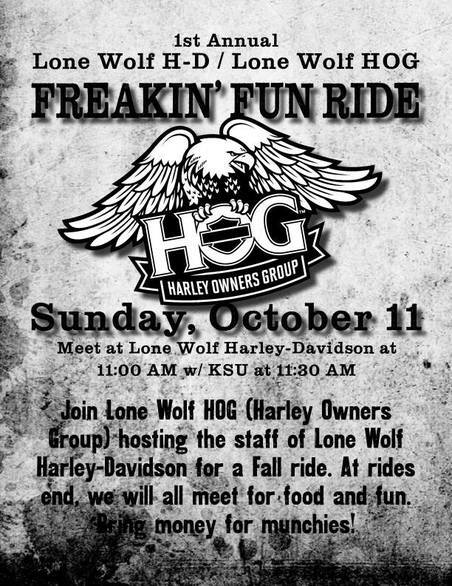 We have invited the Lone Wolf staff (who will be off Sundays for the season) to go on a ride with us where we can have some fun getting to know one another out where we love to be... on the road riding!